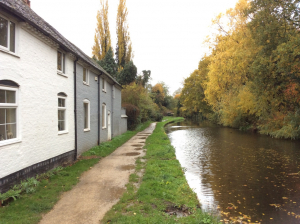 A 300-year-old canalside cottage in a picturesque setting is for sale in SDL Auctions Bigwood’s December auction at Aston Villa Football Club on Wednesday 12 December. 7 Canalside in Stourport-on-Severn is currently a one bedroomed property and in need of modernisation and repair. Jason Lee, head of auctions at SDL Auctions Bigwood, said: “This is a unique opportunity to acquire a distinctive property with a wealth of features. The property is set well back from the road behind a foregarden with a block paved driveway, off road parking and a canalside aspect to the rear on the canal towpath. It has a wood burning stove in a corner fireplace, dining room/study and fitted kitchen on the ground floor, with one bedroom, dressing room and large bathroom and separate shower on the first floor. The cottage has a *guide price in excess of £110,000.